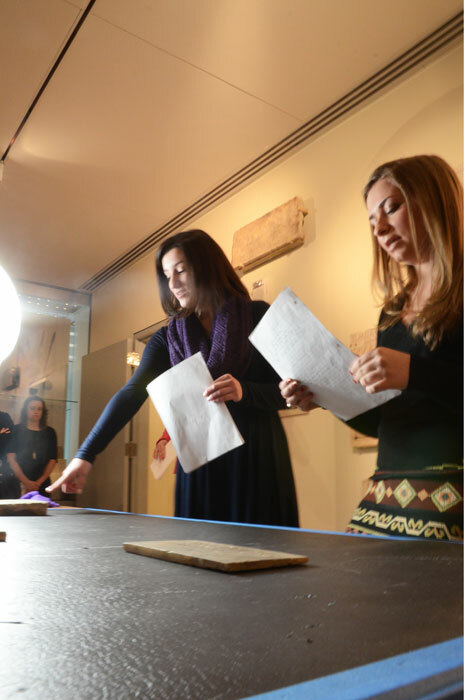 Kaley Gonzalez (L) and Sarah Hill (R) examine an inscription in the museum space. 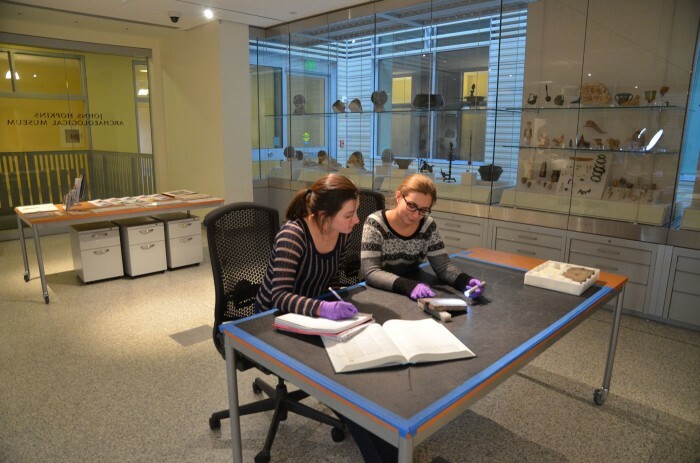 In the Fall of 2012, two Garrison Forest School (GFS) seniors, Kaley Gonzalez and Sarah Hill, began working at the museum under the supervision of Hopkins graduate student Elisabeth Campbell. 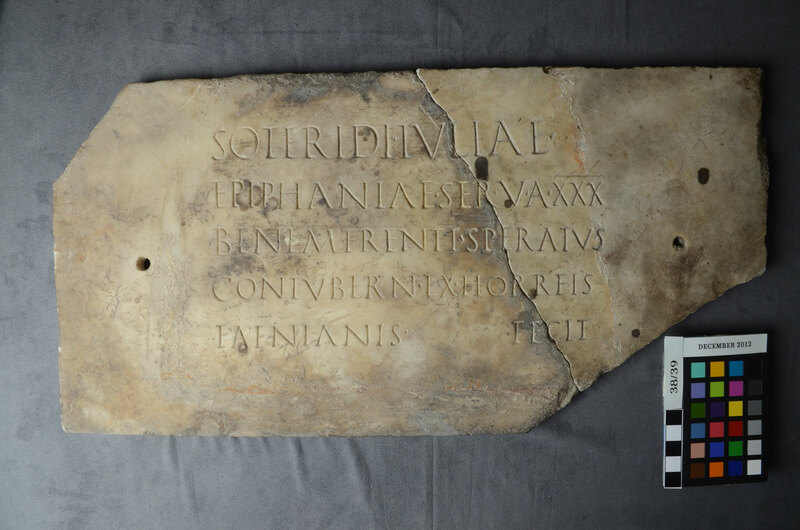 Their project involved examining Latin inscriptions from ancient Rome and producing translations of the texts as well as completing various tasks such as photographing, describing and cataloguing these objects for the museum’s database. With Campbell’s guidance, Gonzalez and Hill have studied a series of marble inscriptions over the past four months, adding valuable information to the museum’s records while gaining insight into the workings of a museum. The results of this project were presented at a Museum Chat on February 2nd, 2013 and at the Second Museum Symposium in April 2013. (Click here for a video transcript of that presentation). This project follows in the wake of an extensive study begun by Campbell to catalog the entirety of the museum’s Latin inscriptions. An example of one of the texts translated by the GFS students. 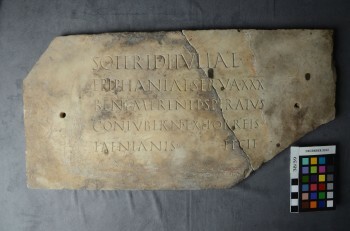 This inscription actually consists of two broken fragments which were reunited in the course of this project. Click on the magnifying glass icon in the right lower corner for a larger image.